Under the conditions found in cells, DNA adopts a double helix structure. Although several variations on this double helix structure exist, all of them have the same basic twisted-ladder shape. This structure gives DNA physical and chemical properties that make it very stable. This stability is important because it prevents the two DNA strands from breaking apart spontaneously and plays an important role in the way DNA is copied. The DNA molecule is made from many subunits attached to each other in a long, twisted ladder-like chain. The individual subunits are called nucleotides. DNA in cells is almost always found in double-stranded form, where two polymers strands are linked together to form a single molecule. At the pH (salt concentration) and temperature conditions found in cells, formation of a double helix results in a net increase in entropy. This is why the resulting structure is more stable than the two strands would be if they remained separate. When two strands of DNA come together, they form weak chemical bonds called hydrogen bonds between the nucleotides in the two chains. Bond formation releases energy and thus contributes to a net increase in entropy. An additional entropy boost comes from interactions between the nucleotides in the center of the helix; these are called base-stacking interactions. The negatively-charged phosphate groups in the backbone of the DNA strands repel each other. However, this destabilizing interaction is overcome by the favorable hydrogen bonding and base-stacking interactions. This is why the double-helix structure is more stable than single strands: its formation causes a net gain in entropy. DNA can adopt one of several different double helix structures: these are the A, B and Z forms of DNA. The B form, the most stable under cellular conditions, is considered the "standard" form; it's the one you typically see in illustrations. The A form is a double helix but but is much more compressed than the B form. And, the Z form is twisted in the opposite direction than the B form and it's structure is much more "stretched out." The A form is not found in cells, although some active genes in cells do appear to adopt the Z form. Scientists don't yet fully understand what significance this might have or whether this has any evolutionary importance. Brennan, John. "The Structural Stability of the DNA Double Helix." 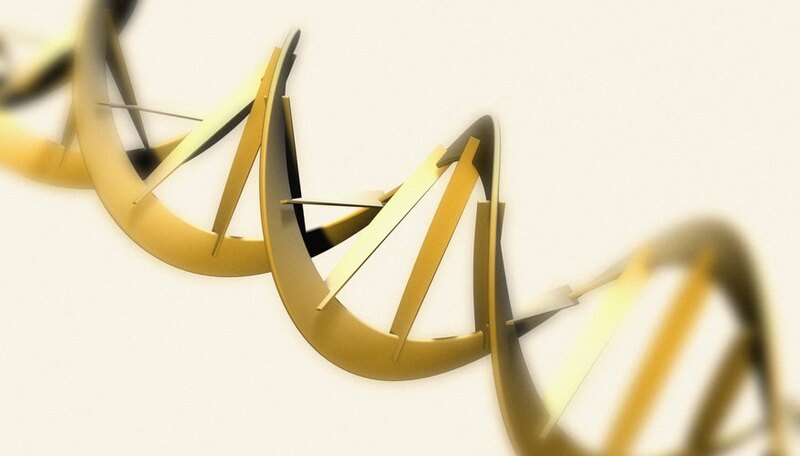 Sciencing, https://sciencing.com/structural-stability-dna-double-helix-2232.html. 25 April 2017.